We’ve known Samsung is the leading Android brand, but now comes word handsets from the South Korean firm account for almost half of the smartphones sold in Europe, where handsets are typically sold separate of wireless contracts. Even more striking, Samsung boosted Google’s mobile operating system to the point it where seven out of each ten smartphones are Android-based in Europe, according to new research. During the three-month period that ended in May, almost half of all smartphones sold in Europe were made by Samsung, according to Kantar Worldpanel ComTech. 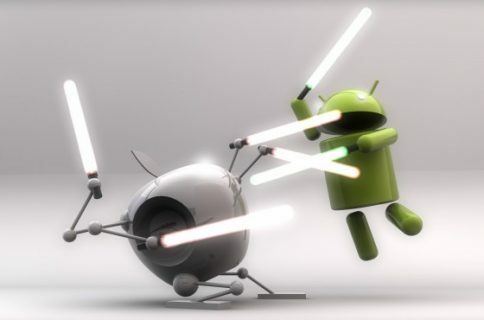 As a result, Android’s market share rose to 70.4 percent in Europe markets the U.K., Germany, France, Italy and Spain. During the same period in 2012, Google’s software held 61.3 percent of the European smartphone market. 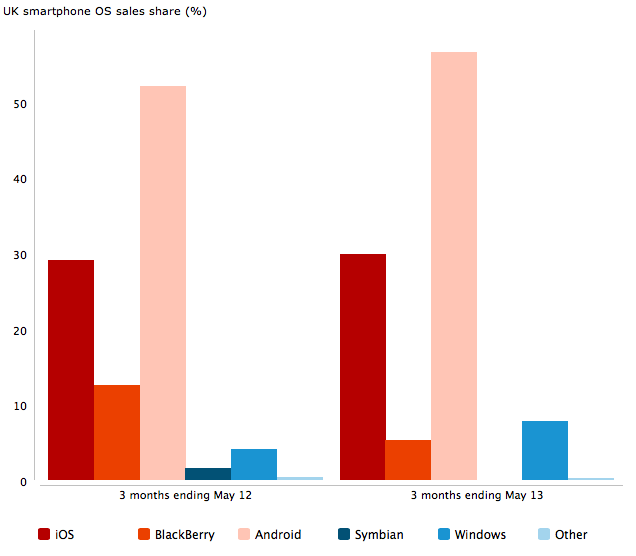 Here’s a snapshot of UK smartphone sales and OS share. In Britain, Samsung’s lead is not so clear-cut. 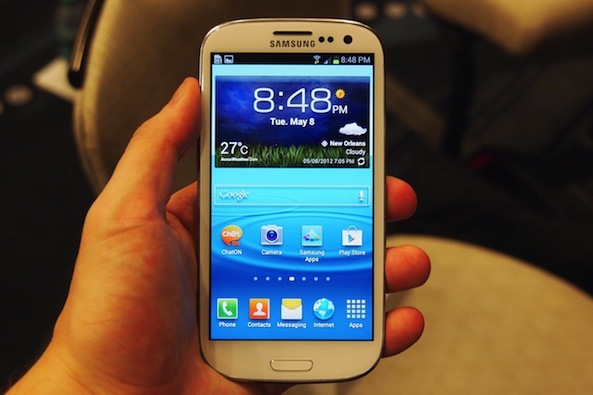 More than a third of Sony Xperia owners previously used Samsung’s Galaxy S2, which helped Sony push its way into the fourth spot. Add Apple’s legendary iPhone retention rates and the Korean corporation may be in for a bumpy ride. For instance, nearly eight out of each ten iPhone owners are brand loyal. That compares to Samsung’s 59 percent loyalty rate in Britain. Of course, all of this gives further ammunition for a rumored budget-priced iPhone able to give Samsung even more competition. 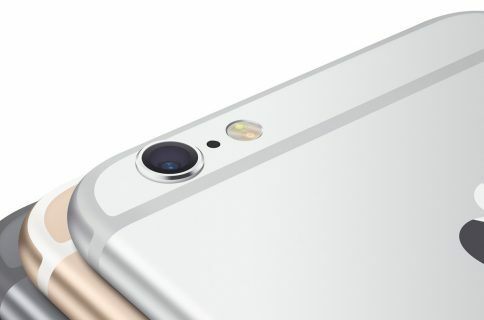 Over the weekend, a report surfaced indicating Apple manufacturing partner Foxconn had started shipping the inexpensive iPhone for a pressumed Fall release. If confirmed, this suggests hardware tests are underway for an Apple handset able to compete with lower-priced Android devices. Chart: Android owns two-thirds of smartphone sales – or does it?